Keeping Busy in Haverhill from Harvest through the New Year. 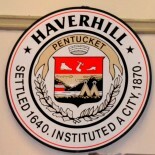 When readers ask The Heartbeat of Haverhill to provide a list of things to do in Haverhill, it can be a little overwhelming. If you know any Haverhill person who has brought forth the next stage of their life with vigor, like these folks, please put their names in the comment section below. THOH wants to compile my own list of the Top 50 Over 50! Perhaps it’s the history, maybe it’s the long winters, or it could just be something in the water. The horror community is alive and well to this day. Haverhill’s Worshiping Oak provided the place where the town’s people first worshiped. It was a chance to mix and mingle and make connections with people who are united in the belief that culture is an intrinsic part of a strong community.